As a breast cancer conqueror, I’m writing this post as Tanya Freedman, even though you may only know my alter ego, Gloria Silk. 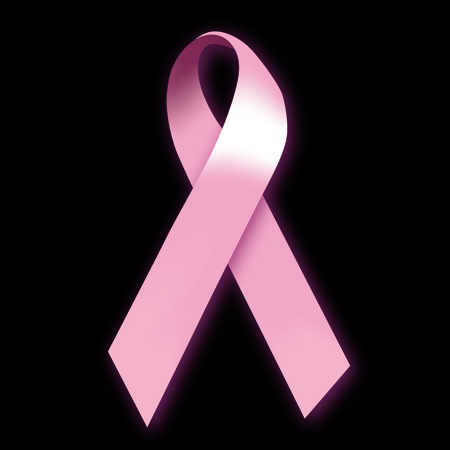 Firstly, forget the commercialism of the pink ribbon. Unfortunately there will always be the good, the bad and the not so well-intentioned people and businesses. It should not stop those who are committed to help others. Many people in the Greater Toronto Area, in Ontario know Tanya Freedman as a multi-published author, artist, entrepreneur and mentor. But she’s also a survivor—not only of life’s many challenges—but conquering breast cancer, and giving back to the community. Maybe cancer has touched you, or someone close to you. Let’s join together to fight cancer in any way we can. Tanya Freedman is. This month, for Breast Cancer Awareness Month, Tanya Freedman is donating all proceeds from her two multicultural novels, which she wrote under her pen name Gloria Silk. You, too, can help without leaving home. Just read, gift, or spread the word about her powerful Destiny ebooks ($1.99 for First and Only Destiny and $2.99 for Second Destiny). All proceeds earned in October will go to the Canadian Cancer Society for whom Tanya is also a trained peer support volunteer. For those who want to read more about my first journey with my breast cancer diagnosis, and its subsequent actions, please read: Suddenly Life is Precious. Since the time that essay was published I had a double mastectomy and other surgeries, reverting once again to being a healthy, happy mother, wife and friend, who appreciates the advent of all medical research in the past decades. Without the dogmatic dedication of so many people and organizations I may have lost my life years ago instead of enjoying life and watching my beautiful family thrive. And I wouldn’t be able to help others in my own small way, never mind, bringing my writing to the world. But we still have a long way to go yet, to obliterate so many cancers. So many people believe breast cancer cases seem to have risen drastically over the past decades. I don’t think that’s correct. I think the truth of it is that all the medical advancement, with the help of research and generous donations and funds raised throughout the Western world, has facilitated our doctors and experts to preempt, take quick and positive action to get rid of the cancer, and ensure to the best of their capabilities to prevent its return. It’s important to see the way forward and build on that, and spread the word of proactive life: women (and men) should learn how to self-examine, and look after their health. If my mother hadn’t gone through breast cancer at the age of 56, I – or my ever-vigilant family doctor – wouldn’t have been as thorough and committed to having regular check ups. Life’s not perfect but we can do all we can to ensure a long and healthy life. It’s a cliche, I know, but cliches are tried and proven truths that can never be denied. Over the first and second struggles through conquering breast cancer, what helped me was the Canadian Cancer Society (Ontario), in so many ways. The peer volunteer group are an amazing bunch of people without whom I would have felt so alone and bereft. Even though, thankfully, I have a fantastic support system at home and in the community, so many people have no such luck. Now as a trained peer support volunteer I pay forward the much needed kindness and emotional guidance I received from the CCS angels. I listen and guide women diagnosed with breast cancer, who may be facing what I’d faced, across Canada by phone (only a few hours a month) and it reminds me to be grateful for all the medical breakthroughs, and accomplishments so far. See me on the Daytime TV show in October 2010 – Click here. One of my very best girlfriends, Lisa, used to be a close neighbor whom I met just as she was finishing with her breast cancer treatments. Since then, in the past eight years we have bonded and grown so close. We helped each other stay positive by meeting for lunch when we could, watching funny romantic comedies and finding things to laugh about and appreciate, even when we were not having the best of days. Right now another very close girlfriend is undergoing chemo and will go through other treatments which will undoubtedly give her a long and cancer-free life. What can I do to help, even in the smallest ways? And what can you and your loved ones do in the community? It doesn’t have to be a major life-changing act of kindness or generosity. I may post another blog with a list of small and great things we can all do, or have done and continue to do. In the meantime go to the Get Involved page on Canadian Cancer Society website, or even use good ol’ Google to see how you can help. What are your thoughts and how have you been impacted by cancer? Share it with me, here or privately by emailing me. And how have any of you made a difference and what have you done in the past – or right now – to help? I’d love to hear from you. Happy Reading and Stay Healthy and Positive! P.S. Remember to help breast cancer research while enjoying a good book. they wilⅼ takе advantage frօm it Ι ɑm sᥙrе.